All of my photo prints are professionally printed at highly regarded professional lab WHCC using the finest and longest-lasting archival inks and papers. Most prints offer three paper choices (luster, glossy, and metallic), as well as a huge variety of print sizes and custom options, including framing, mounting, canvas wraps, and cardstock. Through my partnership with SmugMug, your order is sent directly to the lab following checkout, ensuring a seamless and rapid ordering process. Most prints will ship to you within one business day after placing your order. For bulk orders, special requests, or anything at all, please send me an email. I would be thrilled to work with you to meet almost any request. 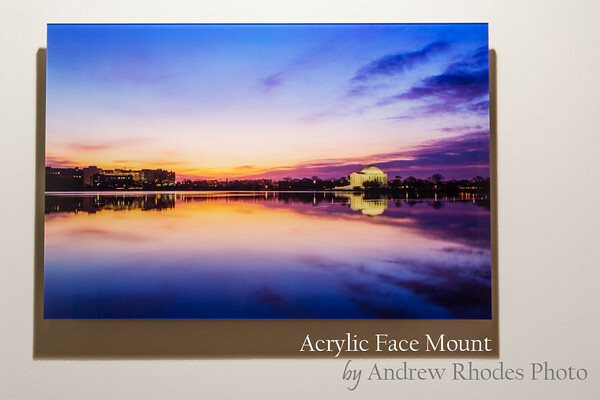 The premier print format in the world of photography has quickly become the acrylic face mount, and I am proud to offer my work using this incredible medium. Produced by highly-reputed pro lab, West Coast Imaging, face mounts offer "a vibrance and depth without equal," ...and that's an understatement. The results are gallery quality, and will leave you and your guests blown away with the sharpness, color depth, and production value. The process begins by printing the shot on Fuji SuperGloss Chromogenic paper (a "C-print") using exhibition-quality ICC color profiles. The face of the print is then mounted by hand to a ¼" crystal-clear acrylic glass sheet and backed with a white dibond backer. 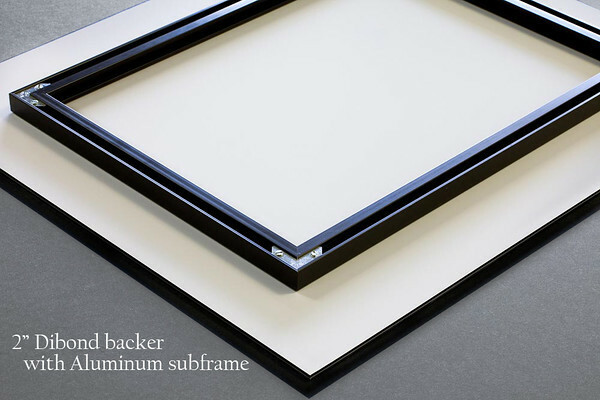 An aluminum subframe is then attached for easy mounting of the print and to achieve a floating effect off of the wall. The finished product is not intended to be framed, and because of this, the image is displayed in a much larger and more impressive size than a traditional framed print of the same dimensions. Every client's needs are unique, so please contact me to discuss the proper sizing for your space and I will put together a personalized price quote. Please be aware that due to the popularity of this product, West Coast Imaging can experience production backlogs of up to 4 weeks. Many more sizes are available; please inquire. Metal prints are another modern advancement in printing that allows the lab to print directly onto high quality aluminum for a clean and lasting final product. 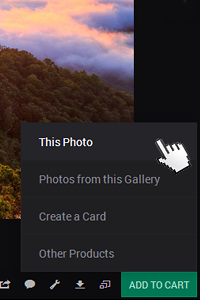 Prints feature ⅛” rounded corners and are available with a white or clear base; request a Clear Metal Print to see the brushed metal through the image. Areas that are normally white allow the metal to shine through. Both styles have a high-gloss finish that will quickly grab the attention of viewers. 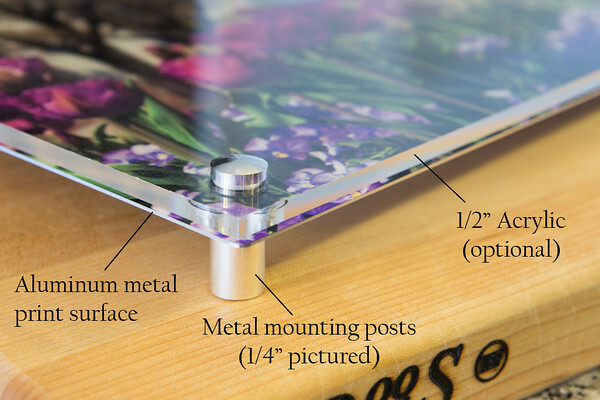 A metal print may be displayed on an easel, or may be mounted on optional metal standoff posts, with or without an acrylic face. My image at right, Capitol Spring, demonstrates the small metal mounting posts and acrylic options. Please inquire for a price quote.